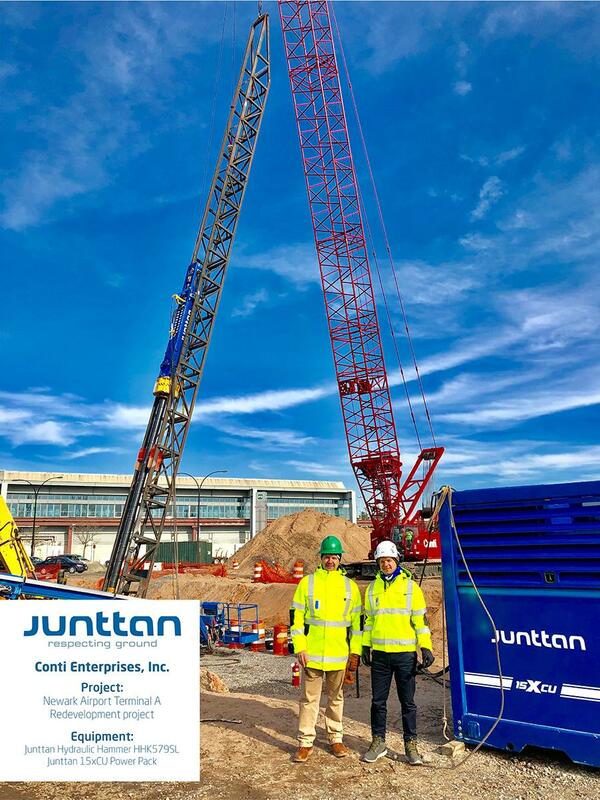 Anders and Henrik Brotherus visiting Conti Enterprises, Inc.’s at the Newark Airport Terminal A Redevelopment project in New Jersey. Conti is driving over 1300 pipe piles for 19 bridge supporting piers as well as over 50 additional foundations for future monorail and sign structures in and around the airport as part of the Project. The project value is $118 mil. For driving piles Conti is using Junttan HHK579SL hydraulic hammer and Junttan 15xCU power pack.